The new Westside Clinic was completed in January 2012 and reflects Oly Ortho's commitment to serving patient's healthcare needs in the growing south sound region. From the beginning, Oly Ortho has been owned by the doctors who live, work and play right here in Thurston County. Increasingly, our society is recognizing the value in supporting our local communities. Spending our dollars in local shops, helping out the small business owners and the local economy has become more than the “Shop Local” tagline. It’s become a lifestyle and commitment for many people. Food is sourced from local farmers. Gifts are crafted by artisans who live in your hometown or purchased from small, unique shops. Dollars are spent sipping locally roasted coffee and eating in restaurants owned by your neighbor, serving food raised in your zip code. However, for most, the idea of “Shop Local” hasn’t extended into the world of healthcare. When seeking healthcare practitioners we often feel locked into the “network” listed by our insurance company or choose a group often owned and operated by large corporations. The doctors and their level of care may be wonderful, but often your dollars are headed to corporate headquarters across the country. For many physicians, it makes sense to join the large groups as the cost of operating an independent medical practice climbs annually. However, you can still “shop local” when seeking care for your family at Olympia Orthopaedics Associates. Since their 1972 launch, Oly Ortho has been owned and operated entirely by the doctors on staff. These are people who live in the same neighborhoods, shop in the same local stores, eat in the same neighborhood cafes, and attend the same soccer games as you. Every dollar spent for care through Oly Ortho goes back into our local economy, providing jobs for your neighbors and an economic anchor that has not only sustained, but thrived through our recent recession. The new Westside Clinic was completed in January 2012 and reflects Oly Ortho’s commitment to serving patient’s healthcare needs in the growing south sound region. Oly Ortho began small. In 1972, Dr. John Coker started the practice in a small office on Ensign Road. He was joined two years later by Dr. Jerome H. Zechmann and a year later by Dr. Alan Roser. 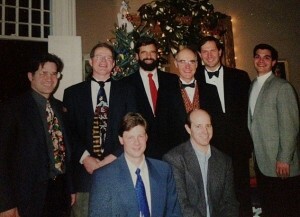 The group grew slowly over the next two decades. In 1993 Dr. Jerome H. Zechmann retired and passed his practice to his son, Dr. Jerome P. Zechmann who is still with the group today. Two years later Dr. Coker retired and Dr. Brodie Wood joined the team. 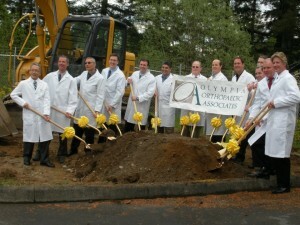 1972 – Olympia Orthopaedic Associates opened on Ensign Road. 1998 – Oly Ortho added the Westside Clinic on Yauger Way. 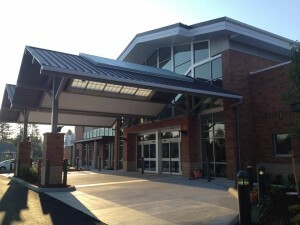 2002 – The Tumwater Clinic and Olympia Surgery Center was added to the group. 2005 – The Eastside Clinic on Lilly Road was built and Oly Ortho moved into a large portion of the facility. January 2012 – Physical Therapy was added to Oly Ortho’s service line to better serve patient needs. September 2012 – The new Westside Facility (Surgery Center, MRI, PT and Clinic) opened. As a local business, Olympia Orthopaedics Associates directly supports local charities, impacting the community outside their doors. Throughout these milestones, one thing has remained consistent – a commitment to putting patient care first and focusing on serving patient needs above all. This philosophy can be implemented consistently because they do not answer to a corporate board. Health care providers make decisions internally to best serve their community. Through their partnership structure, the company is able to be responsive to the needs of our unique area in the South Sound without the red tape present with corporate owned entities. When it became clear that patients would benefit from an on-site outpatient surgery center, the group provided one. When the number of patients utilizing physical therapy began to rise, Oly Ortho knew in-house services would not only be more convenient, but would enable physicians to easily work in tandem with therapists, helping patients heal faster. Not only are the doctors able to nimbly adjust to the needs of our area’s growing and aging population, but as a local business, they put dollars directly back into our economy. Currently, Oly Ortho employs 260 people in addition to the 19 physicians. These employees are your friends and neighbors, holding secure jobs with a local business, providing for their families in the process. And as a locally owned practice, Oly Ortho is able to give back to non-profits and organizations in the South Sound, impacting the community beyond their doors. When a need arises in the community, Oly Ortho can respond with dollars and volunteers. 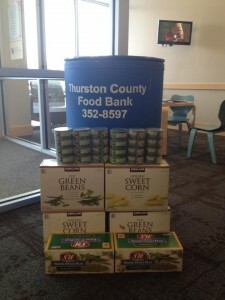 When an employee has a charity event near and dear to their heart, Oly Ortho can join support them directly. Oly Ortho employs 260 people, in addition to the 19 physicians. We have become a community that “thinks locally” in many parts of our lives. It’s time to expand the idea and apply it to one of the most important aspects of our lives – our health. Oly Ortho has grown. Yes, they’ve built an amazing new facility. It’s true that they serve patients from over a 100-mile radius. And it’s all for good reason. 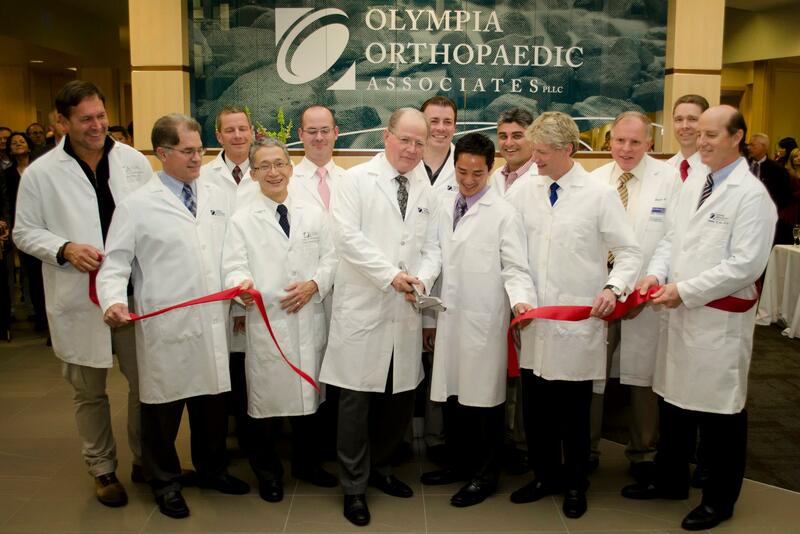 Olympia Orthopaedic Associates has grown to care for patients. They’ve expanded in response to need. They’ve built bigger in anticipation of their community’s bright future. To learn more, visit www.olyortho.com.